According to a June 2011 Economist Intelligence Unit survey of 586 executives, 1 percent of respondents reported no increase in the amount of data they collected throughout the previous year. If that sounds like your organization, then you can probably skip this report. What's much more likely, however, is that your organization is part of the 99 percent that faced increases in the amount and complexity of data it collected. If that's the case, this survey report is for you. This paper shows the results of the survey, as well as case studies, trends and expert opinion focusing on why some top organizations are able to successfully extract insight from "big data." It also discusses why many more struggle to put all of their valuable data to good use. The characteristics that define both successful and immature data management strategies. 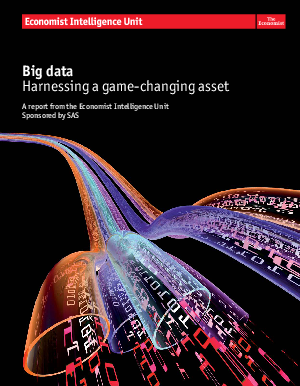 Why extracting value from big data remains elusive for many organizations. The strong link between data management strategies and financial performance.